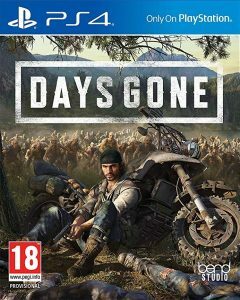 Days Gone, developed by Bend Studio, is the next big PlayStation 4 exclusive to release. There are a few different pre-order options available. Images of the discless Xbox One have been leaked online, seeming to confirm the rumors that Microsoft plan to announce and release an all-digital Xbox One later this year…. Former member of Oculus Publishing has announced that Superhot VR has now sold 800,000 copies worldwide across all platforms. UKIE have revealed the most successful video game releases in the UK to date. The list was revealed as part of the trade body’s 30 Years of Play campaign. An Xbox executive said that Google Stadia, Google’s newly announced game-streaming service, won’t have enough games to make a significant impact. Sekiro: Shadows Die Twice, the latest game from acclaimed developer From Software, has achieved two million sales worldwide. April is quite a good month in 2019 so far for releases. A number of exclusive titles, alongside highly anticipated games make it quite a competitive month. Developer Dontnod Entertainment recently announced that their 2018 release, Vampyr, had hit more than 1 million copies sold. After the news first being reported in Autumn 2018, it’s now finally possible for Playstation Network users to change their username online.